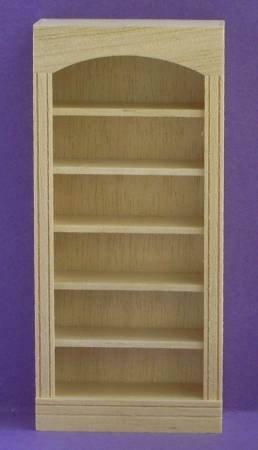 1/24th scale Tall shelf unit. Unfinished bare wood ready to paint or stain. 93mm tall x 43mm wide x 18mm deep.